Whiteman on Snoozer – 8th wonder? 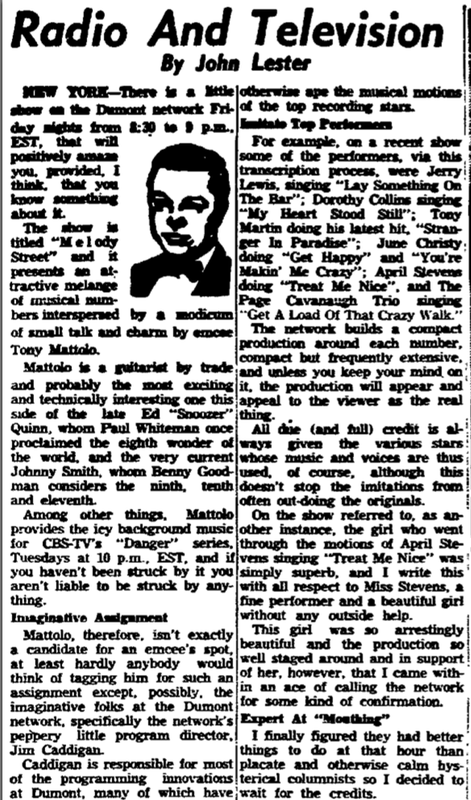 In this 1/21/1954 edition of the Elyria Chronicle Telegram (Ohio) you see that the writer, John Lester, says that Paul Whiteman once proclaimed Snoozer Quinn the eighth wonder of the world. I wonder where Lester got his information? I am in search of ANY primary source that features Whiteman’s thoughts on Snoozer Quinn. Les Paul has discussed Whiteman’s observations on Quinn in certain interviews, and there exist second- or third-hand references such as this implying the great respect Whiteman had for Snoozer’s ability. But I would love to find something more concrete…. letters, memoirs or interviews with Whiteman. Perhaps there is a Down Beat or Metronome interview with Whiteman out there that has observations on Snoozer? I’m slowly digging. Please let me know if you ever encounter anything like that. A few years ago, I did access the scrapbooks that are part of the Whiteman Collection at Williams College, but no luck there. This entry was tagged attributions, whiteman. Bookmark the permalink.